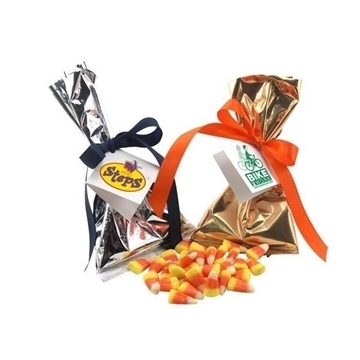 Candy Corn in a favor/mug stuffer bags with ribbon. The merchandise was just as referred to and was what we expected. Just the right extra special gift set for our special clients. A very impressive item for the money. Not only was the product of the best quality and looked really good, but the service I got was superb. Grace provided excellant service. Very pleased using the product and process.